Avian Monitoring on the Valles Caldera National Preserve /Hawks Aloft Inc.
Valles Caldera National Preserve. Image by Erin Greenlee. We are excited to be one of the science partners in the Jemez Collaborative Landscape Restoration Project that will restore and enhance 220,000 acres of forest within the Jemez Ranger District of the Santa Fe National Forest. Our role is to monitor change in avian abundance and species richness relative to on the ground projects. 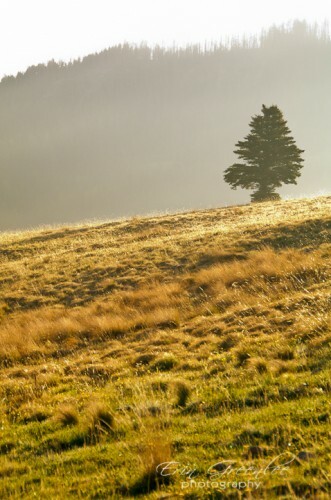 However, in 2011, the Las Conchas fire destroyed 156,000 acres, with a good portion of the fire burning on the Valles Caldera National Preserve (VCNP). So our first summer of surveys documented the differences in burned and unburned habitat in several vegetation types on the VCNP. Three-toed Woodpecker. Image by Mark Justice Hinton. 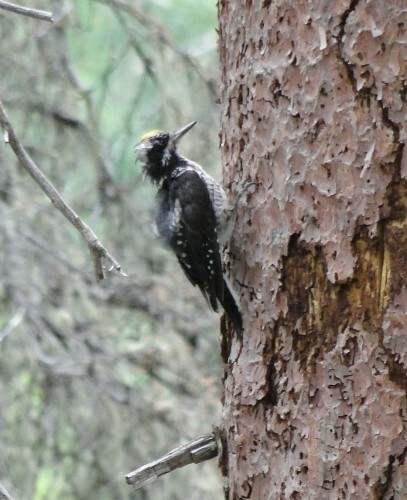 This year was the first year, to our knowledge, of American Three-toed Woodpeckers breeding in the Valles Caldera. American Three-toed Woodpeckers prefer disturbed or recently burned mixed-conifer forests with insect infested snags. The lasting effects of the Las Conchas fire have provided ample habitat for these woodpeckers, and while it is not surprising they have started to breed in the recently burned forests, it is exciting to document. Ruby-crowned Kinglet. Image by Doug Brown. 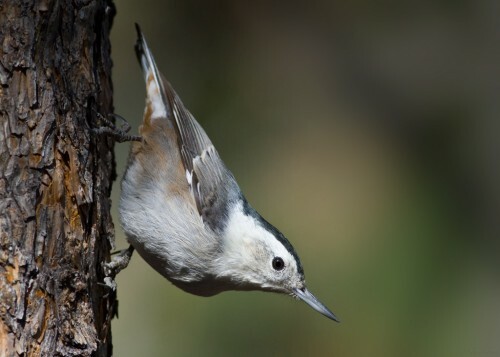 White-breasted Nuthatch. Image by Doug Brown. Ruby-crowned Kinglet and White-breasted Nuthatch showed significantly lower numbers in burned forest plots than in unburned forest plots. American Robin. Image by David Powell. 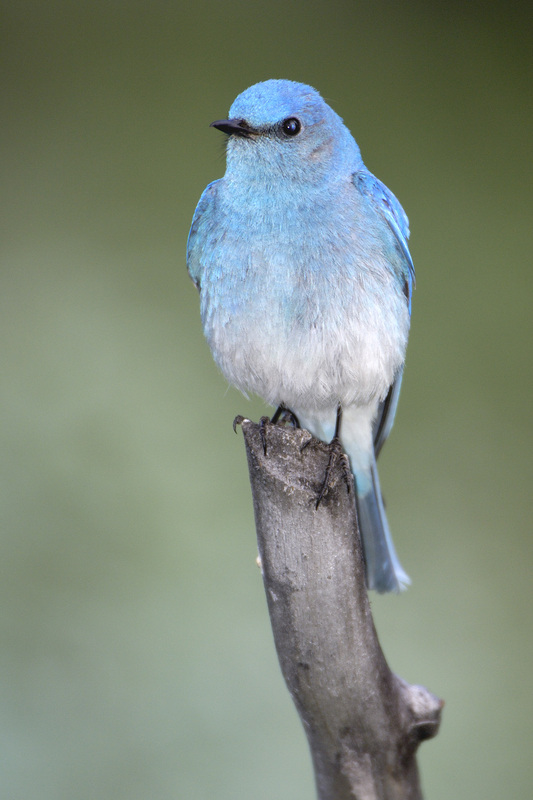 Mountain Bluebird. Image by David Powell. 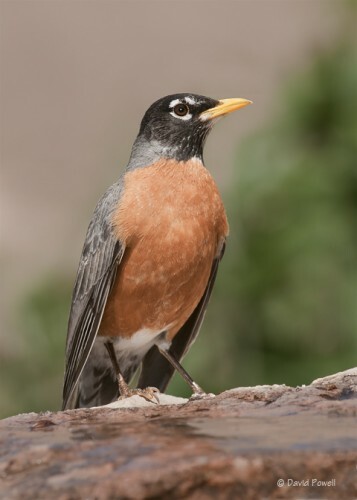 American Robin, American Three-toed Woodpecker and Mountain Bluebird showed higher abundances in both burned ponderosa pine and mixed-conifer forest plots. 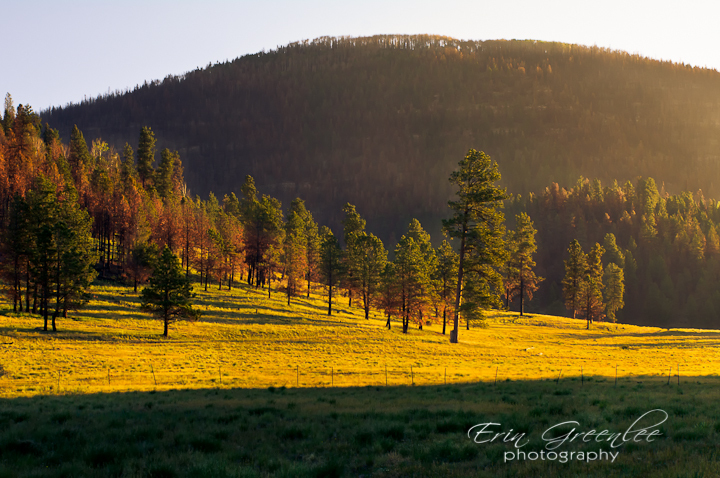 Valles Caldera at dawn. Image by Erin Greenlee. 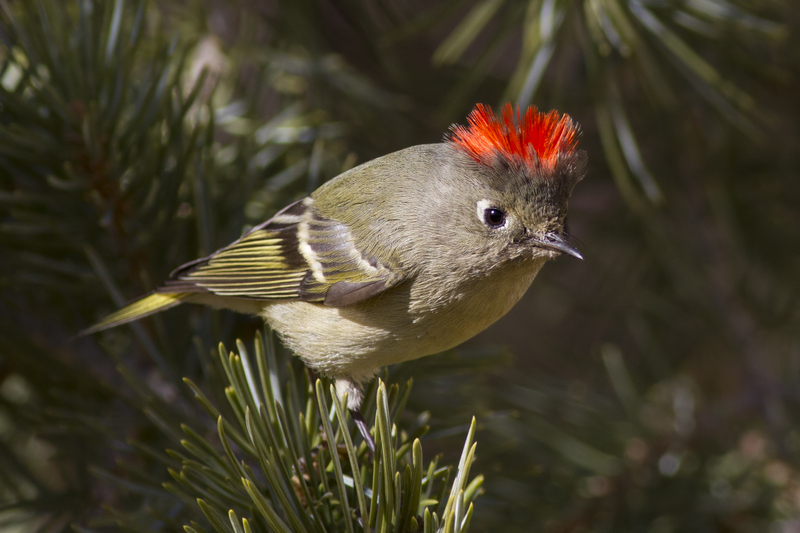 This past summer (2012) was the first breeding season for birds since the Las Conchas fire. We are excited about our initial findings one-year post burn in the Valles Caldera and we look forward to seeing if/how avian density and richness change over the course of the study. Check back for future results of this interesting project.